DSPD will soon join law enforcement agencies across the United States and throughout the world by using body-worn cameras (BWCs) thanks to a federal grant. BWCs serve as a promising tool to improve evidentiary outcomes, and enhance the safety of, and improve interactions between, officers and the public. BWCs can be highly effective resources, providing an unalterable audio and visual record of interactions that capture empirical evidence in the event of a crime, police-citizen interaction, or use-of-force incidents. This grant will supply cameras for all DSPD patrol officers. Denham Springs Police Department’s K9 Koi to get donation of body armor. Denham Springs Police Department’s K9 Koi will receive a bullet and stab protective vest thanks to a charitable donation from non-profit organization Vested Interest in K9s, Inc. K9 Koi’s vest is sponsored by Jessica Brighenty, Julie Brighenty-Fitzgerald and Friends and will be embroidered with the sentiment “In honor of John Henry Brighenty”. Delivery is expected within eight to ten weeks. Vested Interest in K9s, Inc. is a 501c (3) charity located in East Taunton, MA whose mission is to provide bullet and stab protective vests and other assistance to dogs of law enforcement and related agencies throughout the United States. The non-profit was established in 2009 to assist law enforcement agencies with this potentially lifesaving body armor for their four-legged K9 officers. Since its inception, Vested Interest in K9s, Inc. provided over 3,200 protective vests, in 50 states, through private and corporate donations, at a value of $5.7 million dollars. The donation to provide one protective vest for a law enforcement K9 is $950.00. Each vest has a value between $1,744 – $2,283 and a five-year warranty, and an average weight of 4-5 lbs. There is an estimated 30,000 law enforcement K9s throughout the United States. 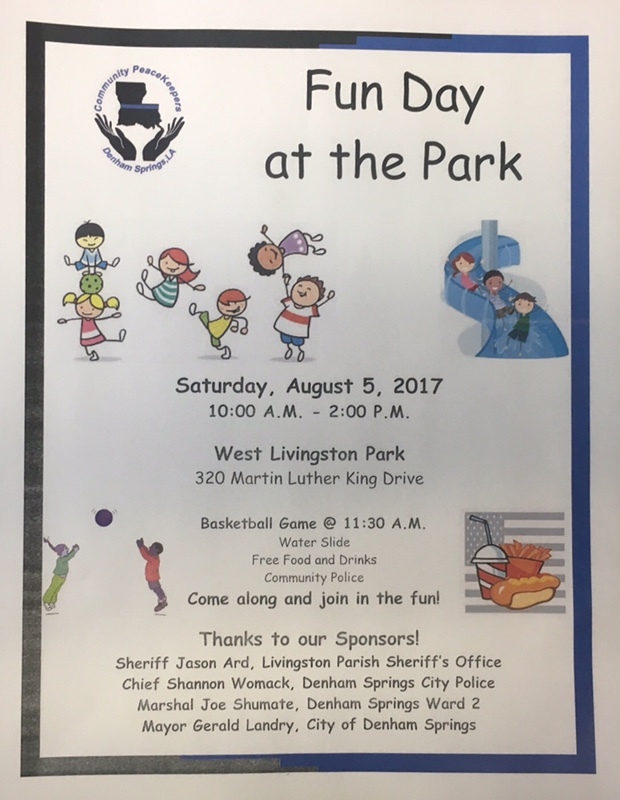 For more information or to learn about volunteer opportunities, please call 508-824-6978. Vested Interest in K9s, Inc. provides information, lists events, and accepts tax-deductible donations of any denomination at www.vik9s.org or mailed to P.O. Box 9 East Taunton, MA 02718. 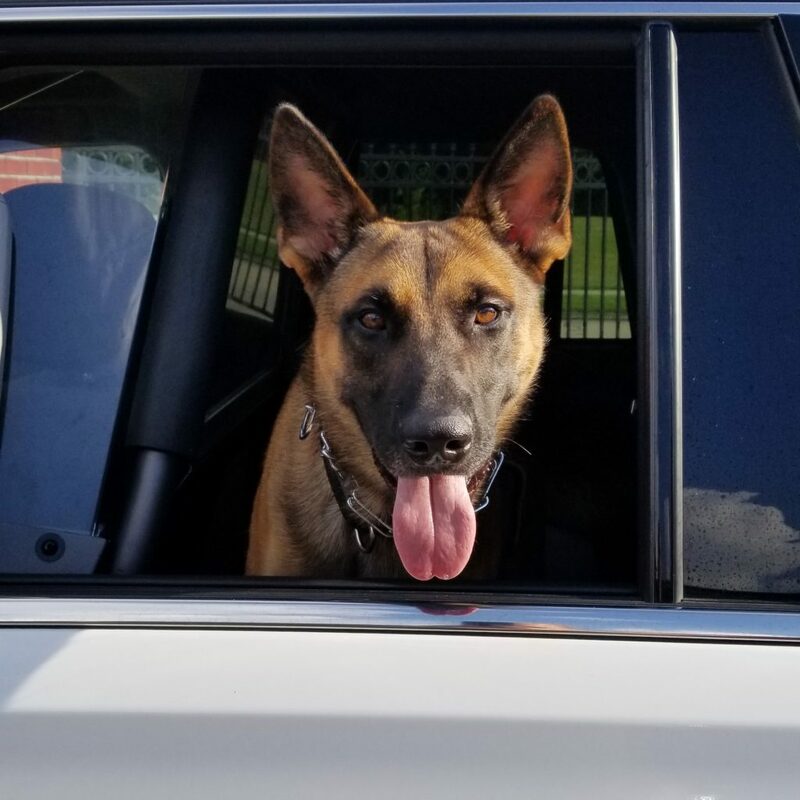 K9 Koi is a 2 1/2 year old Belgian Malinois, who has been on duty with his partner Joseph Babin, since September 2018. Police Chief Shannon Womack and School Resource Officer Susan Edwards donate blood. 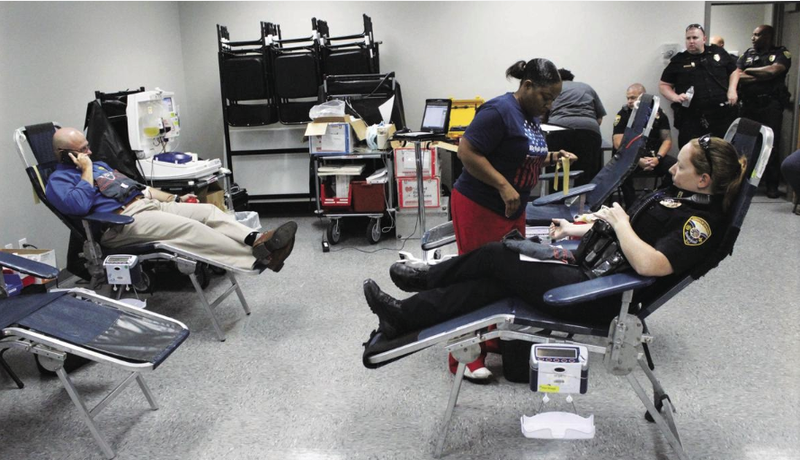 The Denham Springs Police Department teamed up with United Blood Services by hosting a blood drive Tuesday. Our goal was 11 units, and we more than doubled that. If you didn’t have a chance to make it to the police department and are interested in donating, you can visit their Baton Rouge Donor Center at 8234 Calais Drive in Baton Rouge. Call (877) 827-4376 www.unitedbloodservices.org or www.bloodhero.com to set up an appointment or to find a blood drive near you. Do not leave valuable items in your car. Close all windows and lock all doors before leaving your vehicle. Park in well-lit, heavily populated areas. Trust your instincts. If something doesn’t feel right, find another place to park. Do not leave garage door openers in parked vehicles. Don’t think your dark tinted windows will hide your valuables. Thieves often use flashlights to see through tint. If you see any suspicious activity or individuals, please contact DSPD immediately at (225) 665-5106 or call 911. Can you help us identify this man? 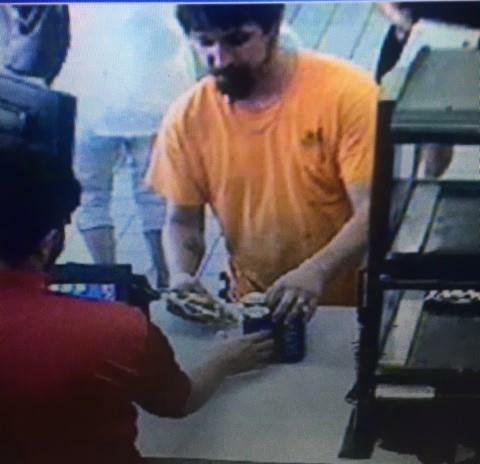 He was the driver of a late model white Nissan Titan involved in a hit and run at a local convenience store last week. Please call our detectives at (225) 665-5106 if you have any information. Thank you. 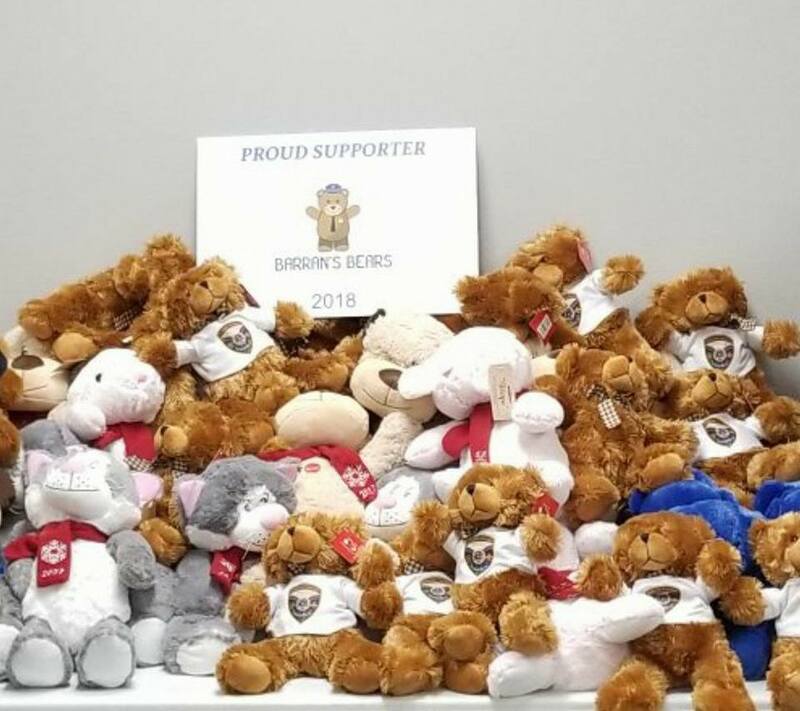 The Denham Springs Police Department and Denham Springs Union of Police are proud to partner with Barran’s Bears, a non-profit organization that provides Teddy Bears to Police Officers and First Responders to utilize at scenes where children are faced with “adult problems” such as domestic violence, illness, injury etc. 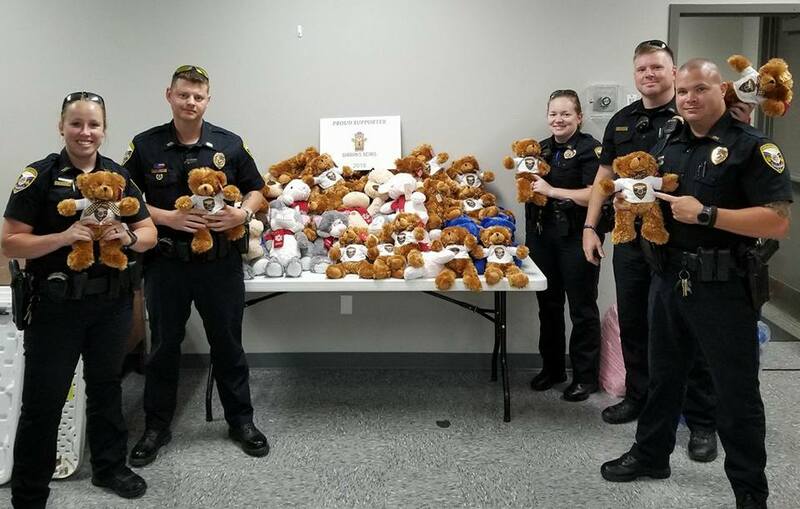 These little guys are precious and hopefully will provide comfort to our littlest citizens. Congratulations to our Kiwanis Peace Officer of the Year, Sydney McCullough. We are proud to have her as our own. Her dedication to the profession and this community is unparalleled. Keep up the good work. Congratulations to our own Officer Daniel Beadle! 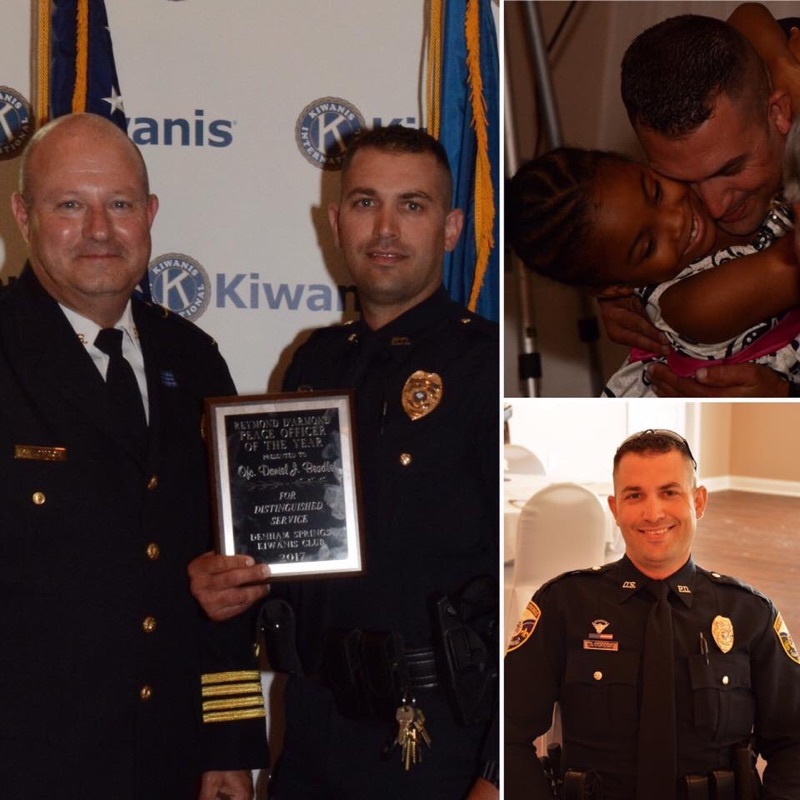 He was selected as our 2017 Peace Officer of the Year and honored by the Denham Springs Kiwanis Club during their 44th annual awards banquet at Forrest Grove Plantation. His selflessness, hard work and commitment to the rebuilding of the police department after the August flooding are a few reasons why he was chosen by his peers for this award. We are proud of Officer Beadle and certainly appreciate his dedication to our department and his profession. 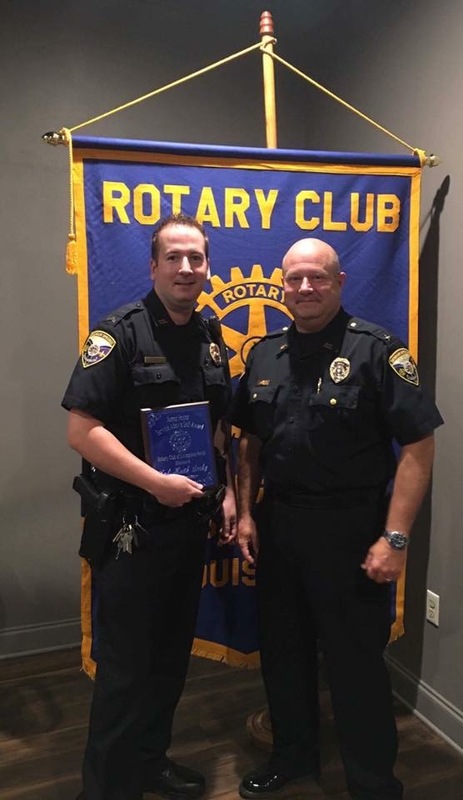 We are proud to announce that The Rotary Club of Livingston Parish recognized our own Corporal Keith Scoby during an awards ceremony on June 23rd. Scoby was chosen as a recipient of The Rotary’s annual James Foster Memorial Service Above Self Awards, for always going above and beyond in his service to our community. 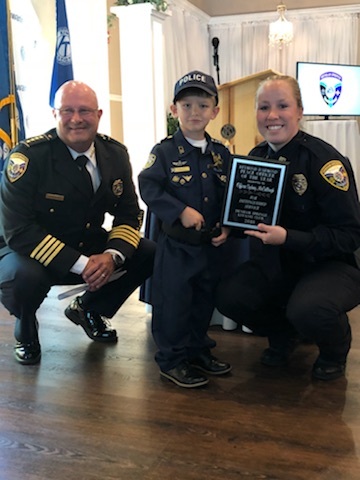 Receiving this award was exceptionally meaningful to him because he and James Foster attended the Police Academy together, and eventually became close friends. Corporal Scoby now serves as our School Resource Officer. Congratulations, Corporal. Thank you for your hard work and dedication.